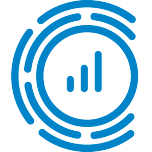 Covesting is a copy trading platform built for investors and cryptocurrency traders. Covesting allows its users to search and compare the trading performance of hundreds of proven digital asset managers and copy their trades automatically. While asset managers benefit from additional income generated by profitable trading, investors enjoy peace of mind knowing that their funds are managed by industry professionals. Covesting automates digital asset management processes and bypasses trust and security issues while making investments transparent, simple, and secure. Read our full analysis of Covesting ICO here.